PALIO LUGLIO 2014 ! | Just Visit Siena ! Home » PALIO LUGLIO 2014 ! 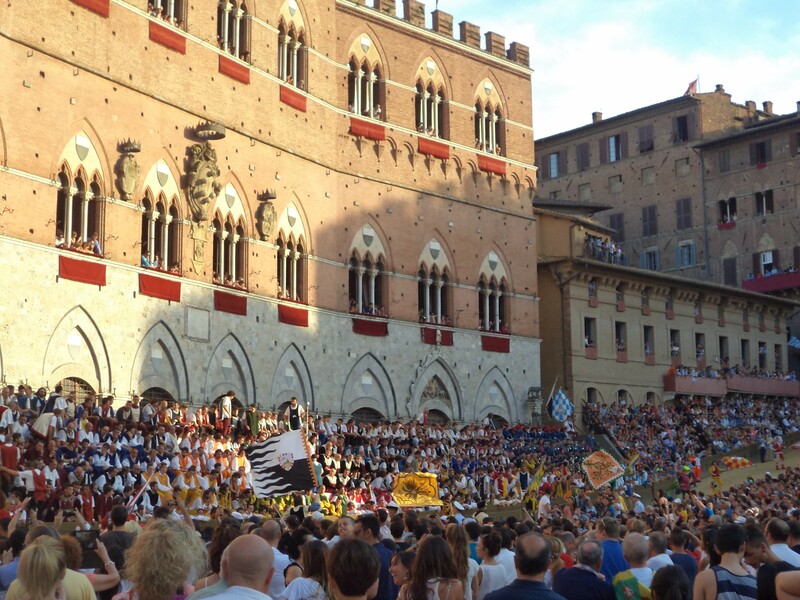 Category Archives: PALIO LUGLIO 2014 ! Just yesterday was a great day for Siena, big crowd of people, great race, great rivalry, great excitement, great victory and great joy and fun. What is more is was very hot. However it wasn’t important. Can you imagine that some people were waiting hours on Piazza del Campo?! But what is obvious everything is worth for Palio! 🙂 that we are waiting for all year. Yesterday we were witnesses to great triumph Contrada del Drago. 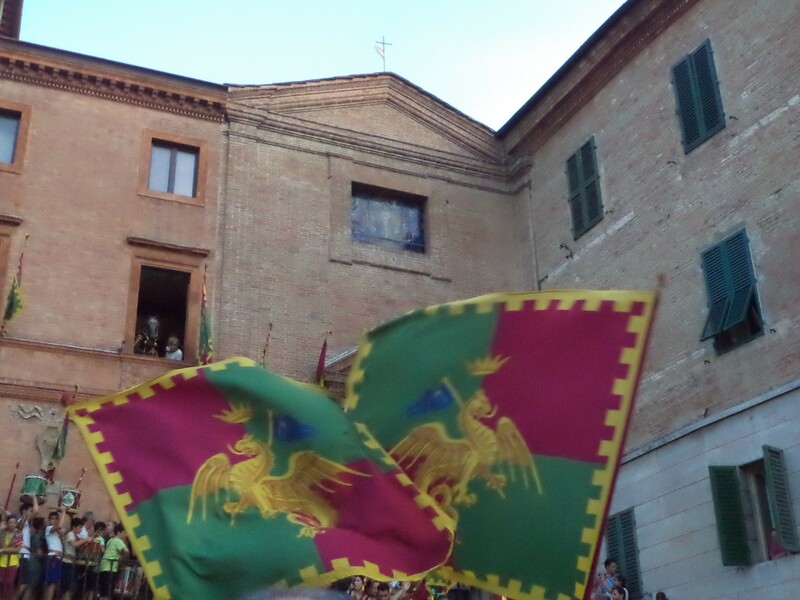 It was a symbolic victory of il fantino from Siena Alberto Ricceri that won for Contrada del Drago il drappellone that commemorate the 70th anniversary of the liberation of Siena. 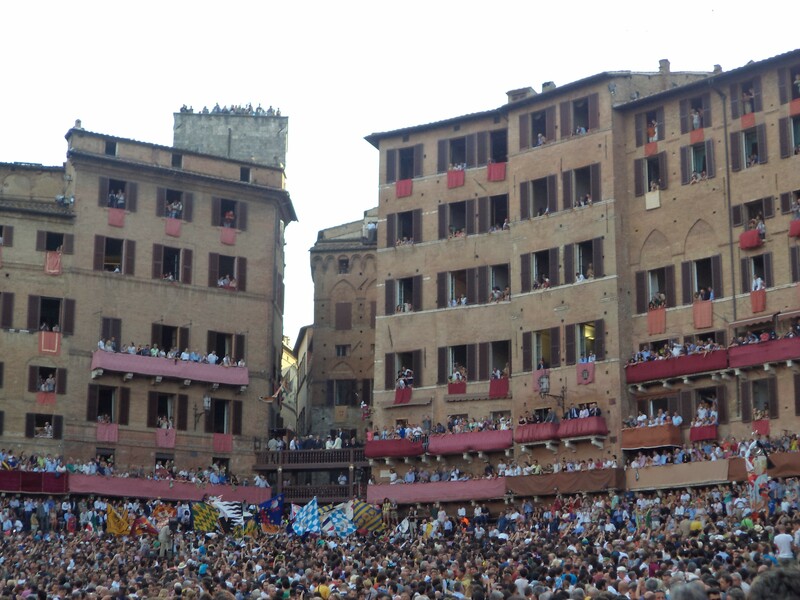 As every year Palio in July is dedicated to the Madonna of Provenzano. Maybe some of you have been yesterday in Piazza del Campo? !If no just look below! Greetings from very sunny Siena!